He learned composition under noted composers like Minoru Miki, Toshiya Sukegawa, Kazuma Suzuki, and Tomonori Horii. Finalist in the 2nd Yutaka Makino Composition Competition. Certified music therapist by the Ministry of Education, Culture, Sports, Science, and Technology (MEXT). Certified music therapist (pending) by the Japanese Music Therapy Association. In 2005, took part in the 60th Arts Festival by the Agency for Cultural Affairs. The piece "Hagoromo (Aura-J)" was selected for the 2006 and 2008 "Real Stage Arts Experience" put on by the Agency for Cultural Affairs. In 2007, held an exhibit of solo piano works. In 2008, work was performed by the Nagoya Philharmonic Orchestra. In 2009, held the exhibit "Storm of Flowers," followed by "Vicissitudes" in 2011. Pieces were selected for 2013 and 2014 "Tokyo to New York" event and performed overseas for the first time.In 2015 , his work is adopted in one of the conference "TEDx Tsukuba" of global TEDx by a lecture and a performance and in late years is used as the teaching materials in the educational institutions such as University and College of Music. Producing contemporary classical and traditional Japanese works described as "new lyricism" by Ongaku Gendai journal for their rich lyrical melodies and use of harmony and noble and elegant sound derived from Japanese musical modes and harmony. Also producing joint works with poet Yohani Kibe, floral artist Yuji Ueno, glass sculptor Katsuya Ohgita, Butoh(dancer) Yoshito Oono, and others, exploring the limits of music and the aesthetic potential of work for stage and video. Member of Creative ensemble of Japanese traditional instruments group “Aura-J”(producer/composer in residence) and Member of the “Torotta” to sing poetry and music, and to play(composer in residence) . 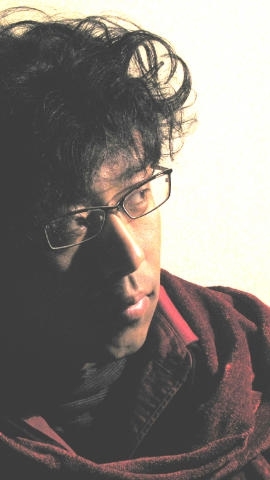 Member of “Hogaku 2010” composition group and contemporary music compoeition group “So”. 《E-mail》 info●migaku-k.net　●=Please replace @. Thank you.